Our team here at Humboldt Storage and Moving secured two awards recently that once again, shows how focused the entire Humboldt team is on putting our customers at ease during each and every move. Almost every award we have been presented over the years comes straight from the feedback gathered by customers that have trusted us to move them. So when we receive an award, we know we have earned it and our customers have allowed us to merit that recognition. The first award is from our friends at UniGroup and it is given to some of the top providers in the moving industry. Humboldt was awarded the UniGroup Customer Choice – Honorable Mention at the UniGroup Convention in Marco Island, Florida. Humboldt President, Jim Sullivan accepts UniGroup Customer Choice Award. What does that mean? 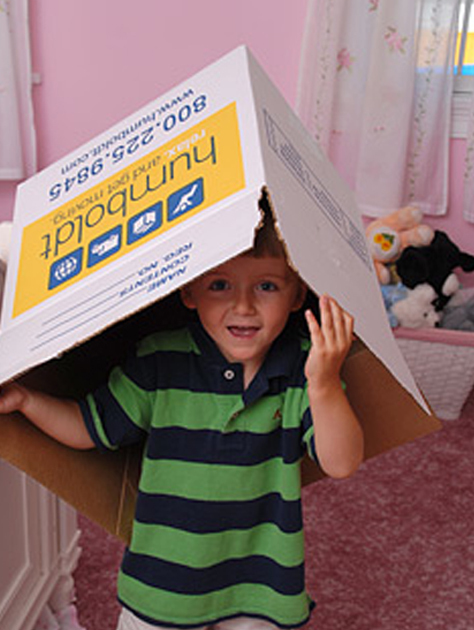 Like many awards in the moving industry, this award revolves around customer satisfaction. Humboldt and other moving companies are judged based on overall customer reliability, feedback from the actual customers, claims ratings as well as safety. Those who earn the Customer Choice Awards are also rated on the quality of labor. In short, it’s based on total quality performance and overall moving experience. The second award is from our friends at BGRS, a company that develops and implements talent mobility solutions for corporate and government clients. 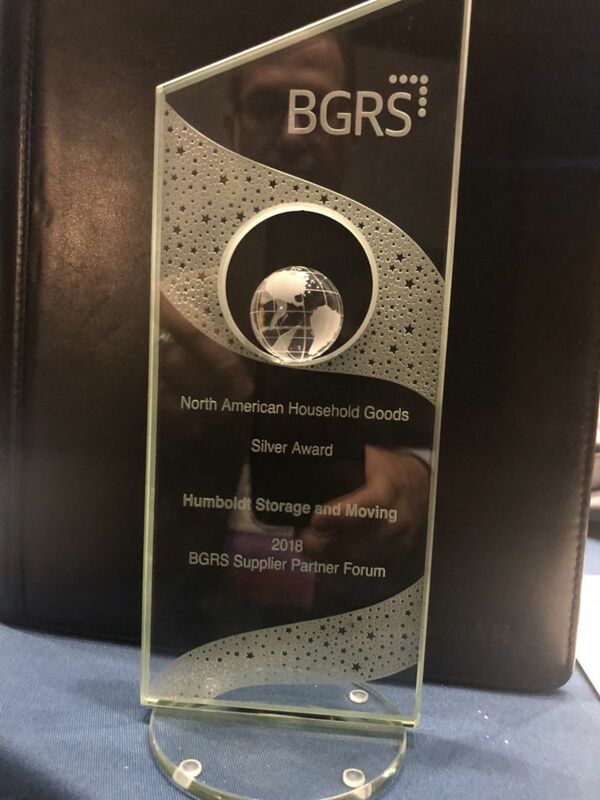 We were awarded the BGRS North American Household Goods – Silver Award at their annual convention held this year in Seattle, Washington. Humboldt has been relocating employees for many years and we’re excited to be recognized for our efforts. 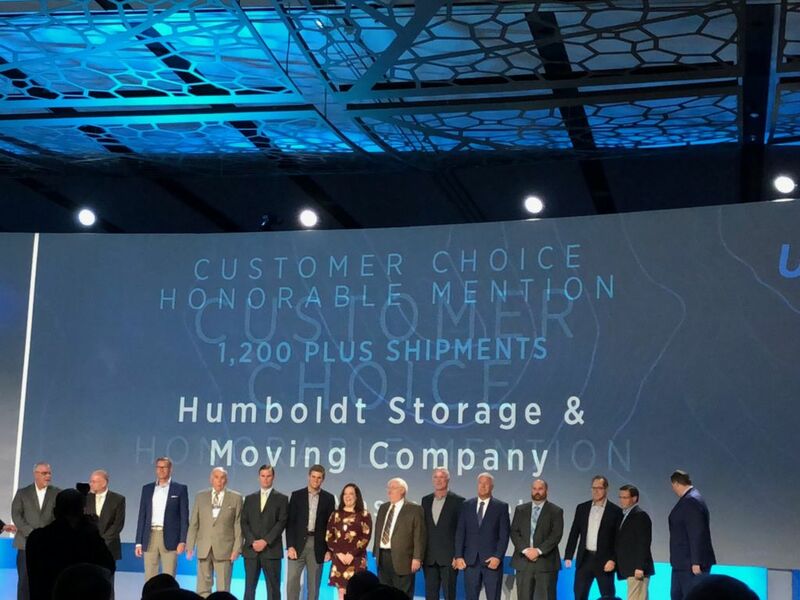 Like many awards in the moving industry, Humboldt was rated based on overall customer satisfaction that included on time deliveries, loading and unloading times and our overall commitment to the BGRS employee that needs to be relocated. This award is presented to the best of the best when it comes to moving companies.